ABC Christmas Challenge: Winners!! U for Uncoloured!! Thanks for all the incredible entries, we had a great time looking at all of them. Congratulations Ladies! 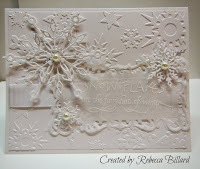 Amazing creations....you've inspired me to do more embossing!!!! 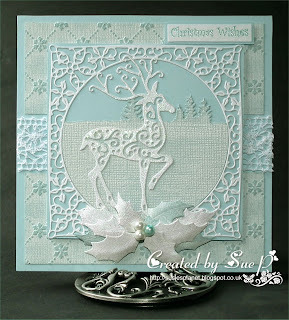 Thanks so much for choosing my card as one of the Top 3! Congrats to the other winners as well! Hi there, I have left a comment before but it hasn't appeared on here - think blogger has been having a funny time of it. I wanted to thank you for picking my card as the winner of this challenge - I emailed you at the same time but haven't heard anything yet. Not sure what is happening.